Looking for the ultimate keep in touch tool? You found it here with the Ready2Go Success Tips. 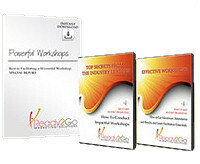 Each Success Tips Package contains twelve 200-350 word inspirational, educational, and entertaining "mini" articles. They will be anticipated and welcomed by your clients as they present valuable content in fresh and exciting ways. The Success Tips are ideal to send as weekly success tips, use as blog posts, post on social media, or use as short articles in your newsletter. Personal Achievement Are You Emotionally Smart?